Baby Einstein Bouncer Just $24.98! Down From $50! You are here: Home / Instagram / Baby Einstein Bouncer Just $24.98! Down From $50! For a limited time only! 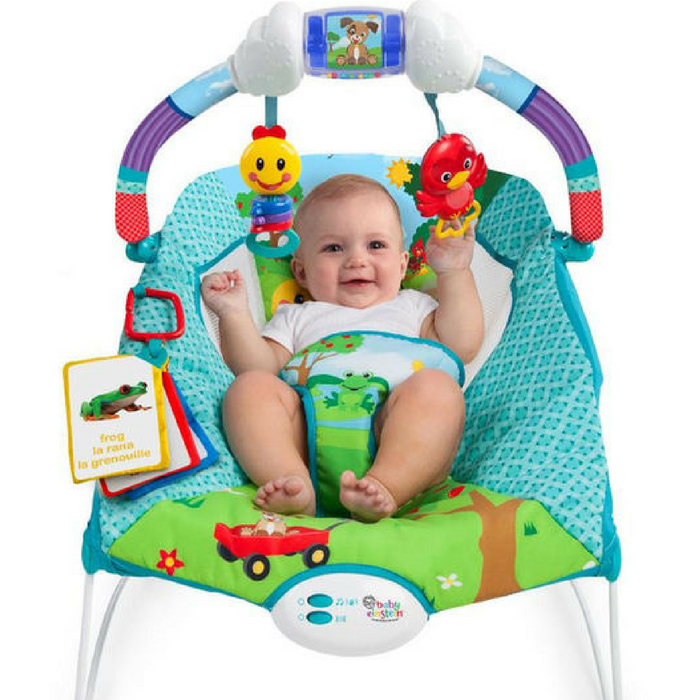 Hurry over to Toys R Us to score this Baby Einstein Bouncer for just $24.98 down from $49.99 PLUS FREE store pick up or FREE shipping for orders $29 or more! Classic melodies and baby-activated nature sounds and soothing vibrations comforts baby with nourishing content. The Caterpillar’s Day at the Park Bouncer(TM) from Baby Einstein(TM) makes baby cozy in a deep, cradling seat with mesh side panels for extra comfort. The removable toy bar includes some of baby’s favorite Baby Einstein characters like Red Bird, Caterpillar and more with bead chaser, pull and spin discovery paddles featuring real-life imagery. Removable fabric flash cards and a C-link for adding more toys rounds out the fun. 3-point harness for security and the seat pad is easy to clean.